I get super irritated when I navigate to a document library or list in SharePoint and then have to click “Next 30, next 30” until I get to the information I’m looking for. Sadly people end up hating SharePoint for this, but they are actually in control of managing / changing this. 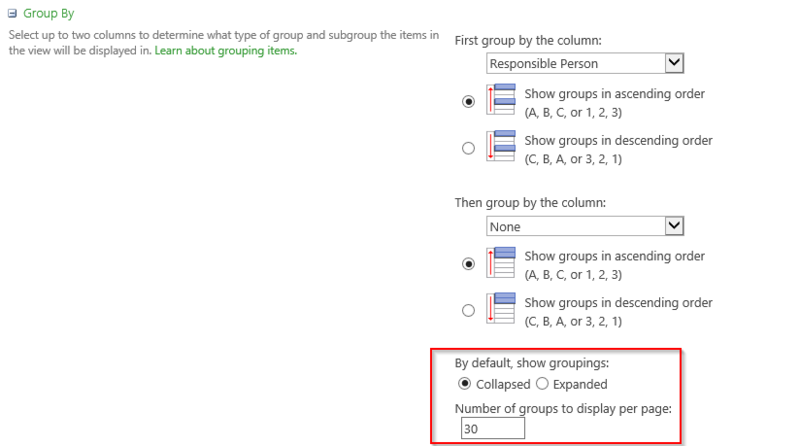 Every SharePoint view has an item limit (as well as a group limit). This can be changed by modifying the current view or creating a new view (I never edit the DEFAULT view that the list or library came with – I always create myself a new copy). In this post I will show you how to modify your existing view: Ensure you are on the correct view, click on the ellipses next to the view names, and click on “Modify View”. If you scroll down further you will see the “Item Limit”. The default is normally set to 30, you can change this to at least 100 / 150 depending on how fast the page will load (respond). In other words – if the page takes too long to load after you’ve made the changes, make the limit smaller. More items will take longer to load. Careful of accidentally modifying the mobile view below that, I normally leave this as default. And that’s me for today! Keep in mind that these tips and tricks do not just apply to Office 365 – but to the overall Microsoft Office Suite as well as SharePoint.